Does Your Voice Charm Or Alarm? In a Call Center, a smile can be charming and distractingly disarming. What better way to put people at ease than with a friendly display of your pearly whites! There is indeed nothing more mesmeric than a beautiful smile. Only humans smile to display pleasure, amusement, and appeasement. A smile in humans expresses typically the absence of danger; so why do we do it? How did it develop to separate us from the rest of the animal kingdom? The answer came in 1980 with an explanation from Professor John J Ohala from the Department of Linguistics at the University of California, Berkeley. In his research paper “The Acoustic Origins of the Smile”, Ohala proposed that words sound better to humans when accompanied by a smile. By smiling, the cheeks are pulled back reducing the size of the mouth cavity and this produces higher vocal tract resonances. Avoiding lower pitched sounds makes us less threatening and more likely to positively connect. Think of the sounds your voice makes when you talk to a nervous kitten, meet a young child, or greet a friend you haven’t seen for years! To make these sounds our lips retract and the vocal placement goes into our cheekbones, and so the smile was born! 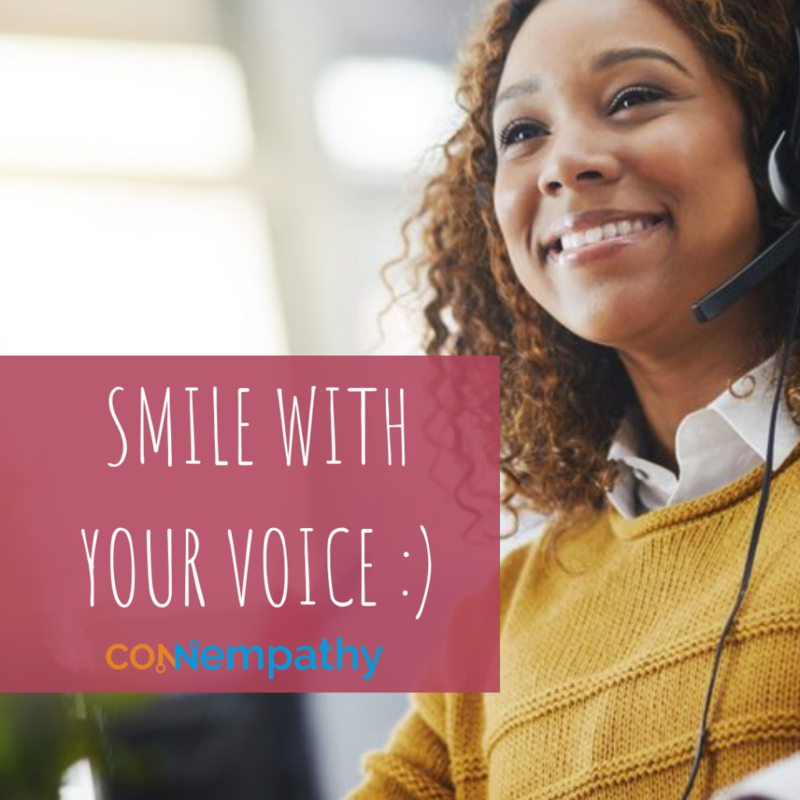 When I work with Sales Teams or Customer Support Teams who do most of their work on the telephone, we notice the massive improvement in Customer perception when the ‘voice’ of the organization is smiling. They can’t see you, but they can sure hear your smile! And this is not some pithy tip that lives in a hypothetical world of extreme tree hugging positivity – the feedback from our customers range from ‘she cared about my issue’, ‘I felt I could trust him’ to ‘I appreciated his patience and understanding’.